We have all seen and heard horror stories of a bad spray tan. What many don’t know, is that these horror stories could have been prevented with proper knowledge of spray tanning and the products used during a spray tan. One of the best products that should always be used during a spray tan session is the application of barrier cream. The last thing anyone wants is to have discoloration of the skin including dark patches on the body. Exfoliating can help prevent these trouble areas from having dark coloration from the spray tan solution. Sometimes Peoples’ skin can be really dry even after exfoliating. Sometimes these dry patches of skin still need protection to prevent an over absorbance of the spray tan solution. Barrier cream is the preferred method to prevent over absorption of spray tan solution. Barrier cream is a life saver in the spray tanning industry. It works wonders by preventing the spray tanning solution from being excessively absorbed into the skin. The common places on the body that barrier cream should be applied to the palm of the hands, cuticles, feet, elbows, and knees. These parts of the body tend to absorbed the spray tanning solution drastically more than other parts of the body. 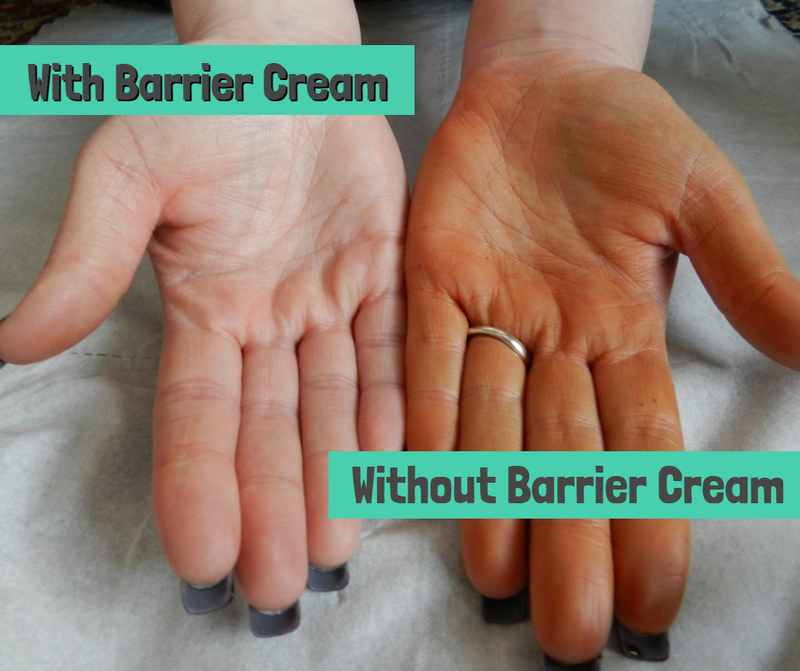 When barrier cream is not used properly, the skin can show negative signs of a spray tan. The increased absorbency of the spray tanning solution can appear darker than the rest of the body including orange coloring. For best results, the spray tanning technician should always apply the barrier cream for each client. The spray tan technician will know the correct amount based on your skin consultation. You should never have to worry about how much or how little barrier cream should be applied, let the professionals make that decision! Everyone wants to get the best spray tan out there, I believe there are just a few important spray tanning tips that will always help you achieve the perfect tan! I have created this spray tanning tips blog to help share all my knowledge and any fun facts that will help you get the best spray tan every time! Here is one of my favorite spray tanning tips #1 Exfoliating. Every spray tan technician will always say exfoliate, exfoliate, exfoliate. This is the very first thing that you want to do before your appointment! I cannot stress how important this step is in order to getting the best spray tan results. Exfoliating your skin provides numerous amounts of benefits. The first benefit of exfoliating is it will get you the best spray tanning results. Some of the other great benefits include unclogging your skins' pores as well as cleaning it. Another great benefit of exfoliating the skin especially when done prior to shaving helps create a closer shave and prevents ingrown hairs. Exfoliating helps create the best spray by helping remove all the dead skin cells of your body. When the skin is properly prepped and exfoliated it creates a wonderfully smooth and even skin surface that allows the spray tanning solution to be have an even application. The removal of dry patches on skin is another great benefit of exfoliating. When there are dry patches of skin this can cause some unwanted issues when getting a spray tan. Dry patches can create an uneven application process which can cause the spray tanning solution to be more concentrated in those areas. Removing these dry patches of your skin with proper exfoliation will prevent excess solution being absorbed in these areas. When exfoliating is done correctly before your appointment it allows the spray tanning solution to be applied evenly. This helps create the perfect spray tan! It is always important to inform your spray tan technician of any dry patches of skin. The spray tan technician can always help apply barrier cream to these trouble places. It will help prevent excess solution build-up, preventing dark patches. One of the best products that I recommend all my clients and that I personally use is ST. TROPEZ tan enhancing polish. The great benefits of ST. TROPEZ'S tan enhancing polish is that it provides great exfoliation, as well as a pH cleansing the provides your skin as the perfect blank canvas before you get your spray tan! Make sure to ask your spray tan technician about new products or extra tips. All of Instant Beauty Spa staff is highly trained and informed on all the latest techniques and products. They will be more than happy to help with any questions or concerns!